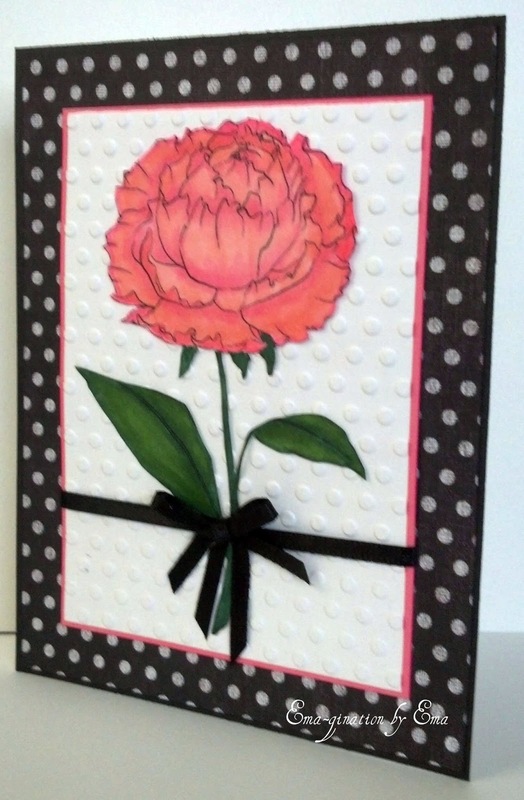 Here's another card for Beccy's Place April Challenge using a free digital image called Peony Flower. I used card stock, printed paper and ribbon from my stash, a Cuttlebug embossing folder and Copic markers to color the image. This is also very beautiful, handsome colored! Another gorgeous card! I love the colours on this one Em... pink, black and white go together beautifully. The single flower looks so elegant on this card. Gorgeous!